Rituals and symbols from the Tabernacle of Moses, the Temple of Solomon, and the holy places of the earliest Christians. The remarkable parallels between ancient temple worship and the doctrines and ordinances restored by Joseph Smith. Personages from the spirit world who returned to the earth to request temple work, to assist with this work, or to witness their own work being done. The restored doctrine of making one's calling and election sure. Long-standing myths about LDS temple worship and the origins, symbols, and rituals of Freemasonry. Representing more than a decade of intense research and documentation, The Gate of Heaven is destined to become a classic among Latter-day Saint works dealing with the sacred and vital subject of temples and temple worship. Matthew B. Brown was a Latter-day Saint author and historian whose emphasis was on the history and doctrine of Joseph Smith and his successors through Brigham Young. This work is very helpful! The images also are important. Matthew Brown has provided us with a well written and impressively researched and cited book (I look up his works cited to ensure accuracy- he is spot on). This is likely to be the best book ever written on this sacred subject. The temple will never be the same for me, much more meaningful and wonderful. A testimony builder and a work of absolute brilliance. I have already given this book to three educated people as gifts and they report back to me the same as I am telling you. Buy this book and you will be amazed and edified. Thanks, Matthew Brown for this insightful book. I will be looking to your other works now that I have completed this one. I loved this book for bringing together what we know from the temple today and many supporting historical documents. After reading a chapter, I could not wait to review the what was in the references and notes again. This book really has opened my mind and enlightened my understanding. I am so thankful for its inspiration. 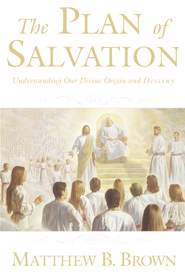 I included much of the topics, doctrines and symbols discussed in this book to prepare my wife before she received her endowments in the temple. She was SO thankful that I did. It benefited her greatly. 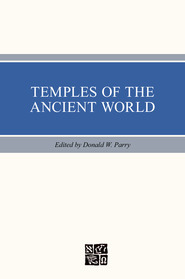 To anyone that truly wants to ponder the meaning of temples, this is a book that you need in your collection and to actually read. When you read slowly and sincerely many doctrines start coming together to aid your testimony in more firmly knowing that the Church is true. This really is a must read if you want to get closer to the Spirit and be more enthralled while in the temple and its ceremonies. I am continually intrigued by the use of symbols, and in their meanings. Moreover, I am fascinated by the grandeur of symbolism used in the temples. I always take time in my day to ponder upon the use of symbolism in the temples. Since symbolism is my point of interest I found this book to aid me in my pondering and learning concerning symbolism in temples. I respect the author's sacred manner in which he wrote this book. 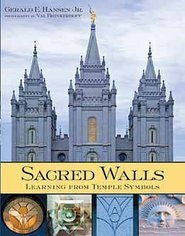 I would highly recommend this book for any individual who loves to learn more concerning symbolism and the background of temples. There isn't another book on temples that I would recommend over this one. There are very few books that I have enjoyed more and gained more out of than this one. Although I'd recommend something different for LDS that have not been endowed; for those who have been, there isn't another book that compares. 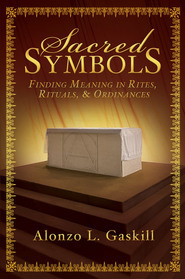 It is incredibly well researched and exceptional in explaining symbols of the temple, without saying things that shouldn't be said. 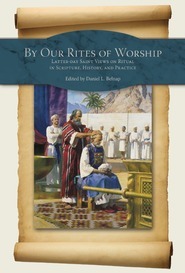 Each of the chapters were incredibly insightful, and the appendix contains the best, concise treatment on Masonry and Mormonism that I've read. I own about 700 books, and this is one of my most highly prized. I intend to read Matthew Brown's other published books and if they are only a fraction as good as this one was, I will be completely satisfied. 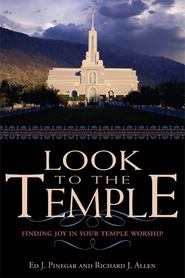 Every book has its audience and this one is for those who have pondered the symbolism and doctrines of the temple. My only complaint is that a great portion of the footnotes should have been included in the text, instead of footnoted. When you read this book, don't skip the footnotes! Thank you Matthew Brown for writing this book.